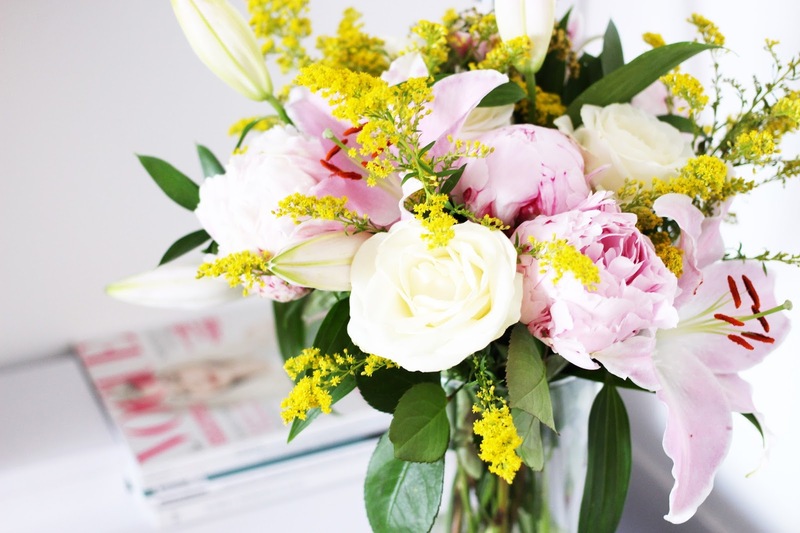 I'm probably one of the first women to say that I mostly dislike flowers. I don't have any local florists, so if I'm buying fresh flowers they have to come from a supermarket. Which, face it... are overpriced and mediocre looking things that die within a couple of days. (Oh, the glamour.) 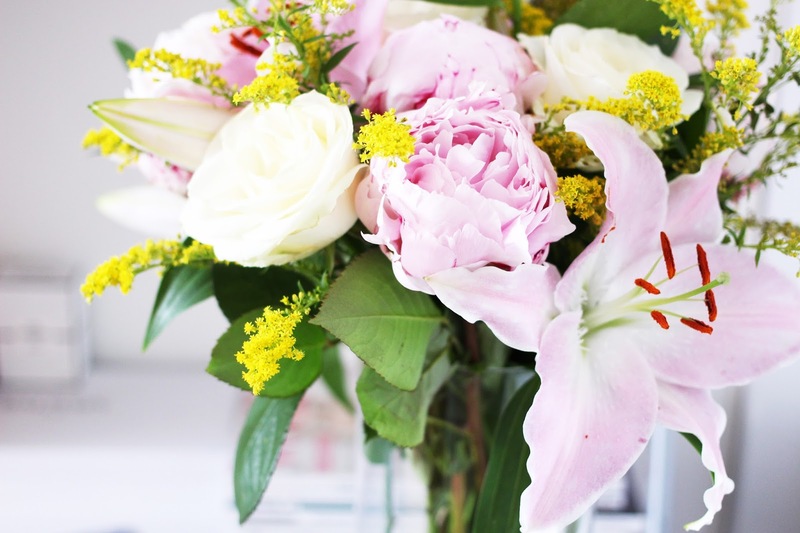 So when Debenhams Flowers contacted me and offered to send a summer bouquet I only needed a quick glance at their images to realise that these are stunning, and I jumped straight on board. 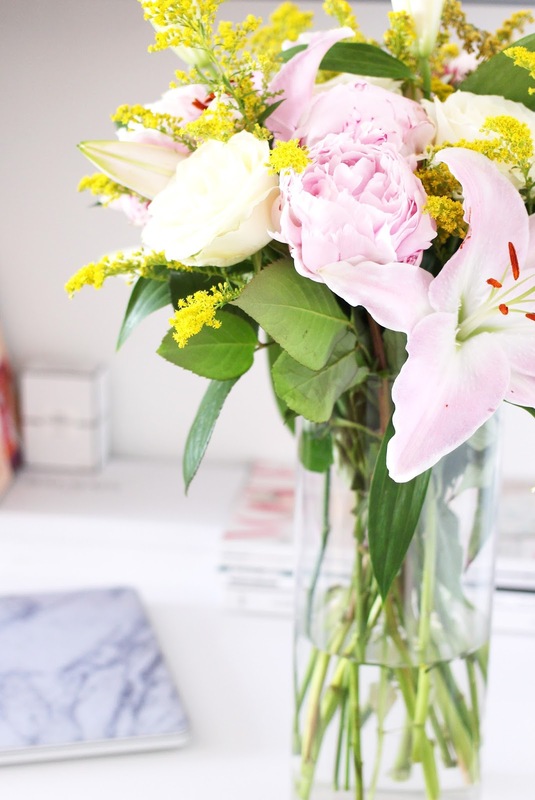 I picked the peony, rose and lily bouquet which was overflowing with beautiful, elegant flowers and seriously livened up my otherwise simplistic bedroom decor. The flowers themselves lasted a significant amount of time longer than those of the previously mentioned supermarket flowers and smelled so fresh and lovely, I couldn't help but (against my better judgement) stick my hay fever riddled nose straight in there. 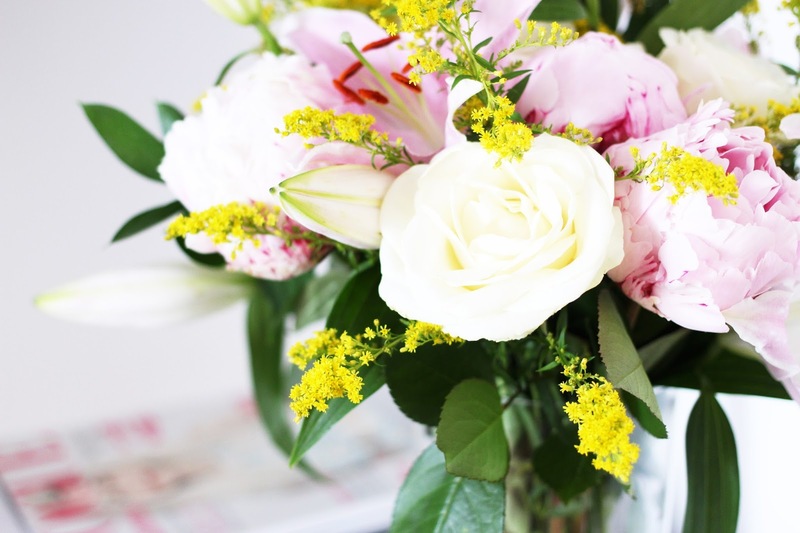 If you're interested in any of their products, I have a discount code for my blog readers, which will entitle you to 25% off whichever bouquet you choose, either for yourselves or as a gift! Which gives you more money to spend on chocolates and wine, right?